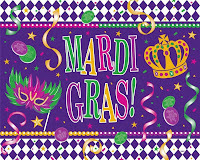 The Weekend Gourmet: Happy Mardi Gras...Featuring a Few of My Best New Orleans-Inspired Dishes! Happy Mardi Gras...Featuring a Few of My Best New Orleans-Inspired Dishes! 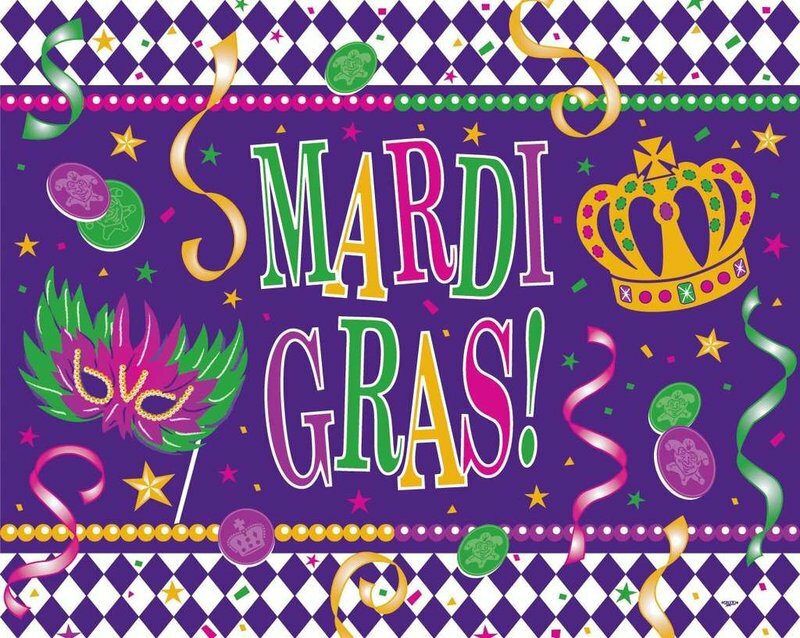 Happy Mardi Gras, friends! To celebrate this festive occasion, I'm sharing some of my favorite New Orleans-inspired dishes with you today. New Orleans is one of our favorite cities, so we always have a low-key Mardi Gras celebration at home here in Texas. It's normally just the two of us and the cats, but I fire up some zydeco music and cook us a fun dinner. No crowds or parade floats, but still fun! These are three of the best Cajun and Creold dishes that I've shared since this blog started nearly three years ago. They're all spicy and full of flavor, and all have the Husband Seal of Approval. Give one of these recipes a try tonight and celebrate Mardi Gras at home...because Ash Wednesday and Lent begin tomorrow! (1) Mardi Gras Crispy Fish Sandwiches. Crispy pan-fried fish, a quick homemade spicy-tangy remoulade, and cheese make this fish sandwich a tasty treat. The fish is very flavorful thanks to Cajun seasoning being added to the coating. This one's a real winner. Make this tonight and somebody might throw you some beads! (2) Texas-Creole Crawfish Potato Salad. This was my contribution to #SundaySupper's July 4th party. This flavorful potato salad is tangy thanks to Creole mustard in the dressing. Add in some Cajun spice and crawfish, and you've got one of my favorite recipes of 2012! This is the perfect side for some simple pan-seared Cajun-spiced tilapia. (3) Kitchen Sink Jambalaya. I made this jambalaya on local television for Mardi Gras last year. It's simple to make and loaded with flavor. It has sausage, chicken, and shrimp, hence its name! One pot...and about an hour...is all you need to have a great dinner, with leftovers. This is a complete meal in a bowl, and you can even adjust the spice level for your preference. I'm not sure how I ever missed this fish sandwich when you posted it, but my mouth is watering! That's going on my next menu. Thanks for the inspiration! The fish sandwich recipe goes back to 2011...but it's a goodie! Hi Wendy...you are such a dear sweet friend, and I appreciate your friendship. You've been an inspiration to me since day #1 since I've been blogging, which is over 2yrs now. Your kindness and caring meant so much to me throughout these difficult few months. Thank you for being there for me! Aren't you sweet! This jambalaya is so simple to make...it's a lot of ingredients, but it comes together fast and makes a TON!